An NHS continuing care package may be offered when a child or young person under 18 years of age has needs arising from disability, accident or illness that cannot be met by existing mainstream / universal, targeted or specialist services alone but require regular and planned complex intervention. It is important to note that diagnosis of a particular disease or condition is not in itself a determinant of a need for continuing care; not everyone with a disability or long term condition will be eligible. The aim of the care package is to support the child/young person’s parents or carers to manage their child/young person’s care at home and/or in other settings. It may require the provision of services from the NHS, social care, education, or other organisations to enable the person to function in the community. 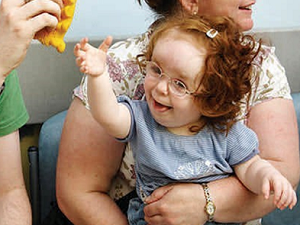 When a child or young person is referred for an assessment, a referral is made via the social workers for children with disabilities to allow a joint assessment. The Clinical Commissioning Group will first check if they are likely to need a full assessment. This will be done via either a visit or can be a paper exercise whereby an initial pre-assessment checklist will be completed with the referrer. A health assessor will then collect evidence of the child's health needs and the current health care being provided; drawing on the information from health and care professionals with a decision being made within 48 hours of initial assessment. Once indicated that a child/young person may be eligible, a multi-disciplinary team meeting will be held. Within this meeting the collated evidence and the assessor’s recommendation will be discussed and a decision reached as to whether or not the child or young person has a continuing care need. This will then be taken to Children’s Continuing Care panel to be ratified and support package agreed. A decision about eligibility will usually be made within 6 weeks of a multi-disciplinary meeting being carried out. A bespoke care package is then arranged and this is called a continuing care package. 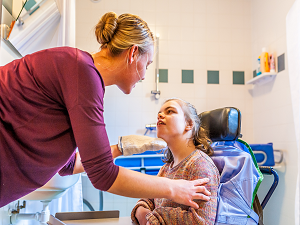 Some of the care may be provided through existing services, some may need to be specially arranged; care can be commissioned on your behalf or you can request a Personal Health Budget to meet assessed health and well-being needs. The health care package is designed to complement support and services offered by Social Care and Education. Children who are eligible for continuing care have complex needs and developing the right package of support in a safe way, can take time. You can find more information in the National Framework for Children and Young People’s Continuing Care (2016). Referral Details - When health needs are identified by a professional a referral through social care is required. 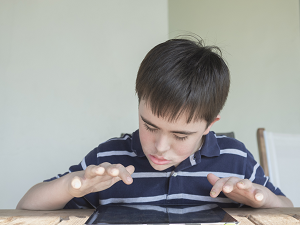 An initial joint assessment will then be completed by Children’s Nurse Assessor and Social Worker from Children with Disabilities Team, to identify if the child/young person is likely to meet the eligibility criteria.